Brookside is using Smore newsletters to spread the word online. What a blast we had at Charlotte's County Fair! 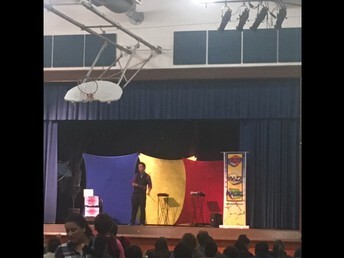 Our 5th One Book for Brookside was a success. This year we decided to read a classic, Charlotte's Web. 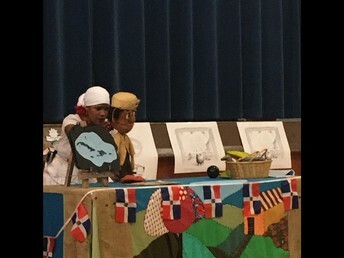 Teachers and students alike loved reading or rereading the story of Wilbur, Charlotte, Fern, Templeton and all the animals at Mr. Zuckerman's farm! To celebrate we had the most amazing event! 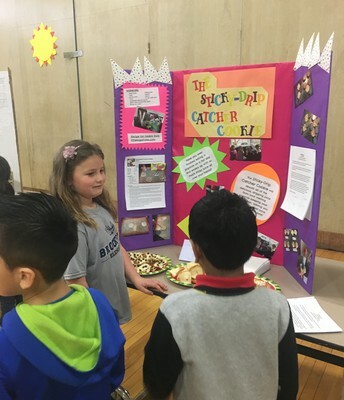 Teachers and Parents teamed together to host farm stands for each grade level, selling delicious treats, hosting games and craft activities! A petting zoo, face painting and balloon animals topped the cake! 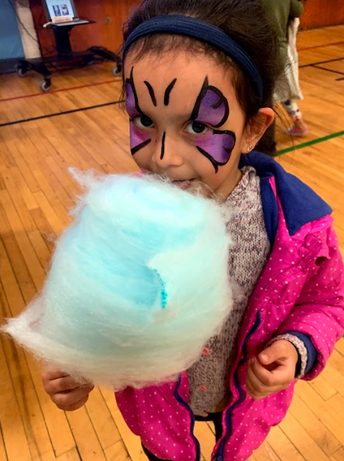 Brookside families and staff all had an amazing time celebrating our literacy event! 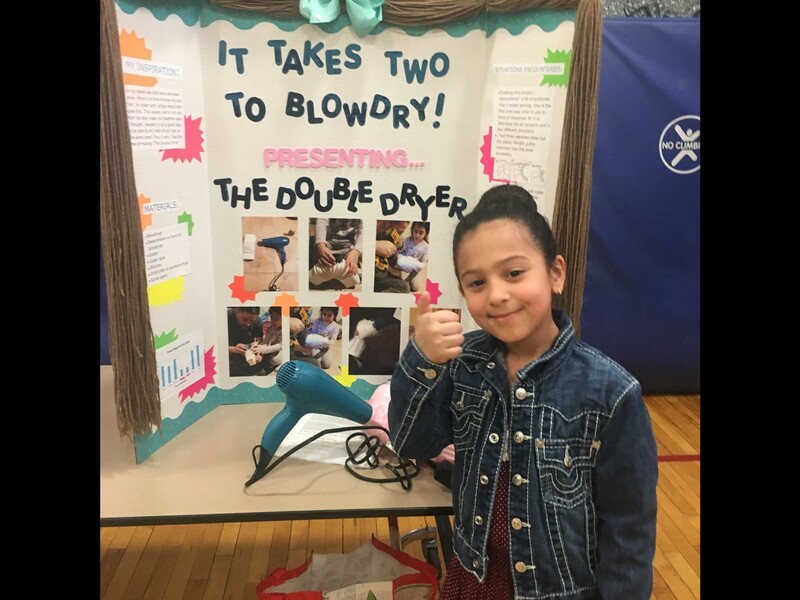 To see a slideshow of our Month Long One Book for Brookside project and County Fair finale click here! 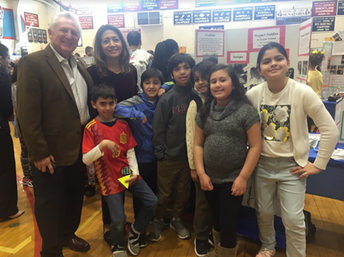 Fourth Graders from Mrs. Maloney's class entered their STEM project into the city's STEM Expo and made Brookside proud! 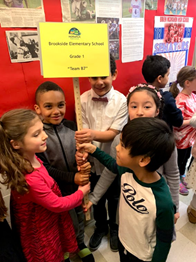 Ms. Merati's first grade class entered their "Shadows & Light" STEM project into the citywide STEM Expo and made Brookside proud! 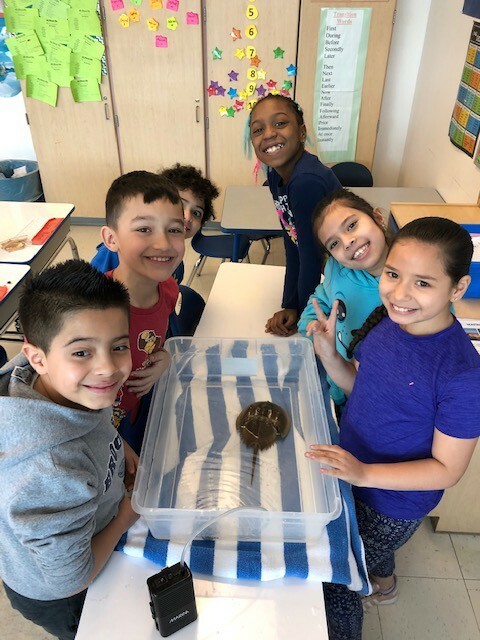 Sound Waters from Stamford visited third grade classes in March. 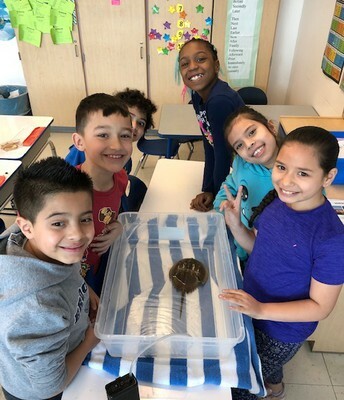 They taught them about the living things in Long Island Sound and they brought along some animals for students to learn about! 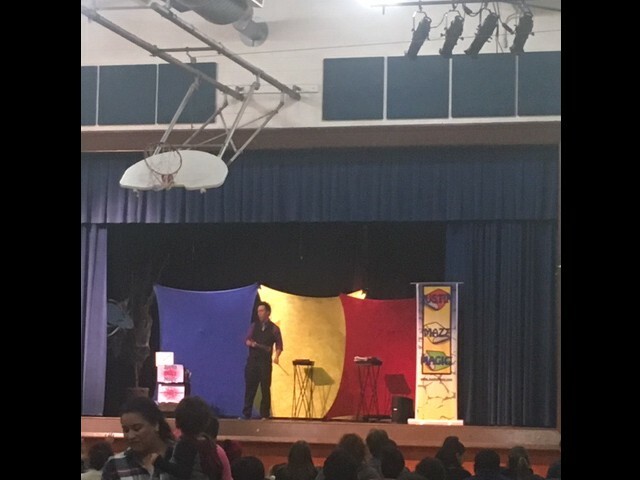 A magician came and dazzled us with his tricks and fun! All of the proceeds went to Brookside's Drama Club! 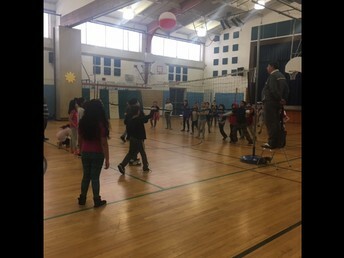 Grades 3, 4 and 5 competed against each other in a volleyball tournament. Ms. Samuel's class won the 5th grade tournament, Ms. Maloney's class won the 4th grade tournament, and Mrs. Henneghan's class won the 3rd grade tournament. The winners each got an extra gym class and a trophy for their classroom. 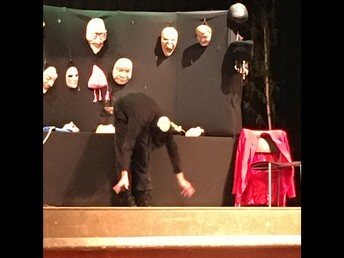 Thanks, Mr. Downey! 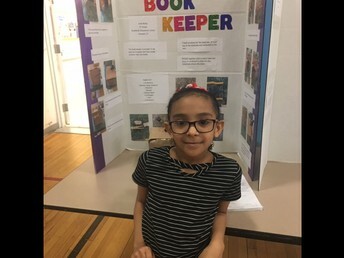 Jade Bailey created a way to keep your books safe with her Book Keeper invention! 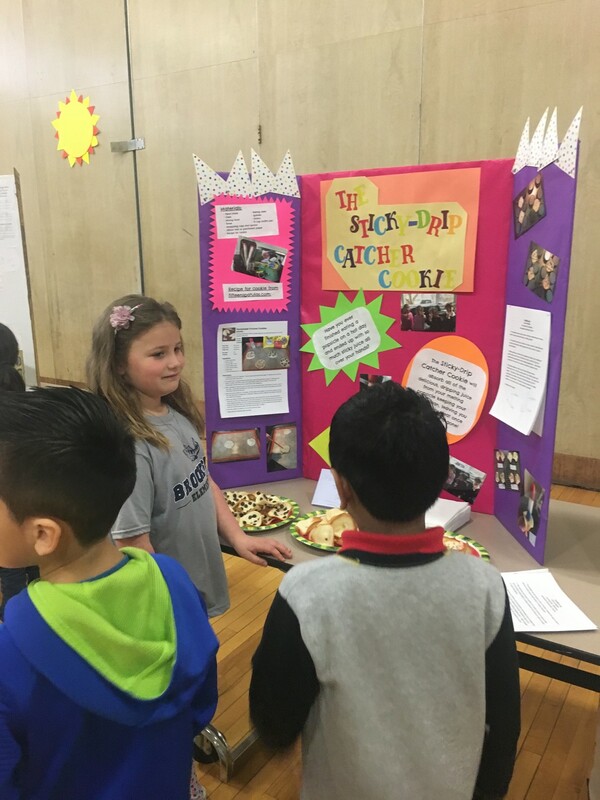 Grace Weglian explains her Stick Drip Catcher Cookie! Keep those hands mess free as your ice cream melts! Nicole Lettieri figured out a way to blowdry her and her sisters hair at the same time with "It takes 2 to blow dry!" Ricki Bronner is catching doggie drool with her Doggie Drool Catcher! 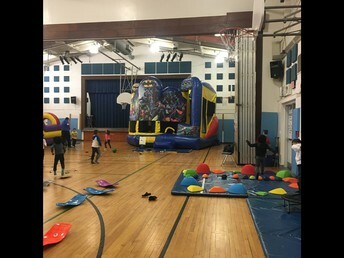 The book fair was not just for students this spring! 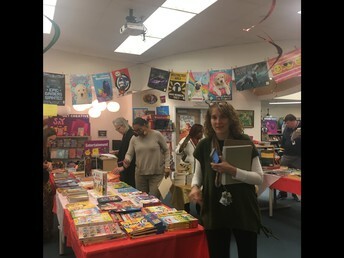 Teachers were given a teacher preview and a shopping spree to build their classroom libraries! 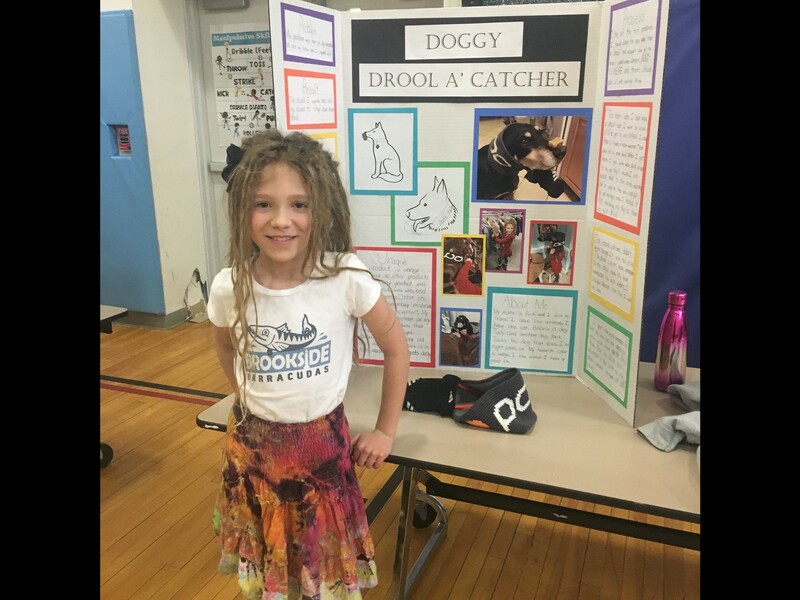 The book fair supports our collections in the Library Learning Commons, both print AND digital resources and our classrooms! The Very Hungry Caterpillar turned 50! 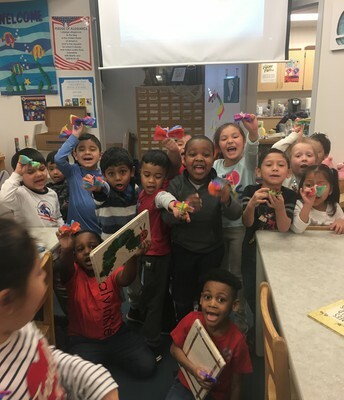 Mrs. Lee's Kindergarten class celebrated The Very Hungry Caterpillar's 50th Birthday! This classic from author and illustrator Eric Carle is a favorite! 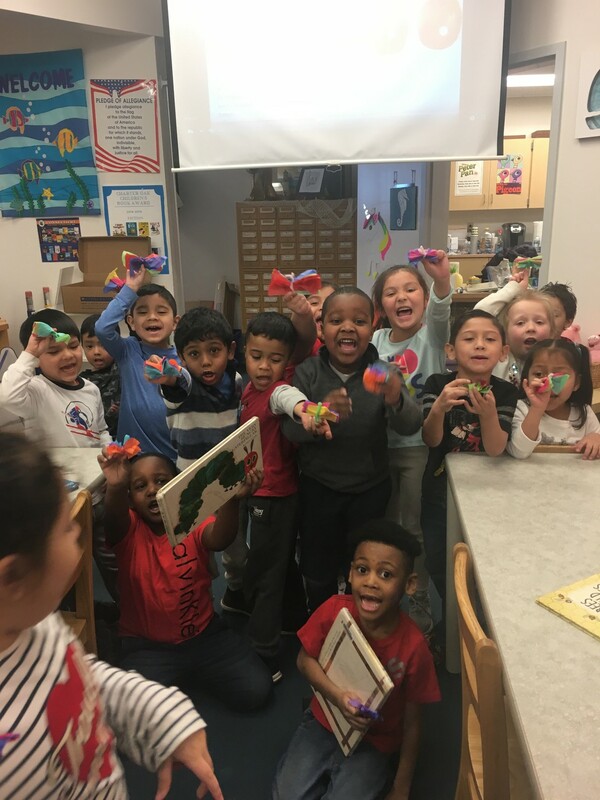 They created tissue paper butterflies after a fun readaloud! Before each book fair a few students have the opportunity to preview the books and give a book talk on the morning announcements! 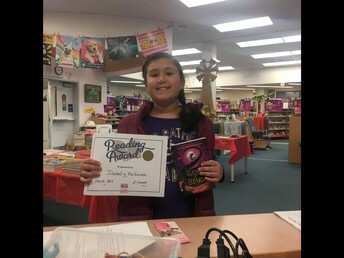 Here Isabella M. shows us the book she read after her amazing book talk! 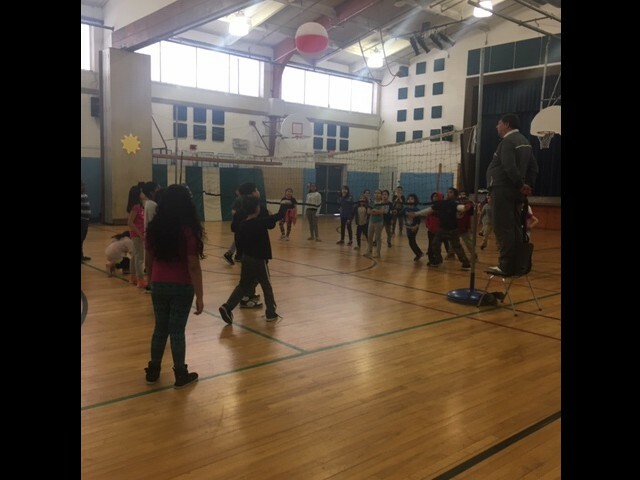 Mr. Downey gets everyone jumping each year to raise awareness of Heart Disease and get our hearts pumping! 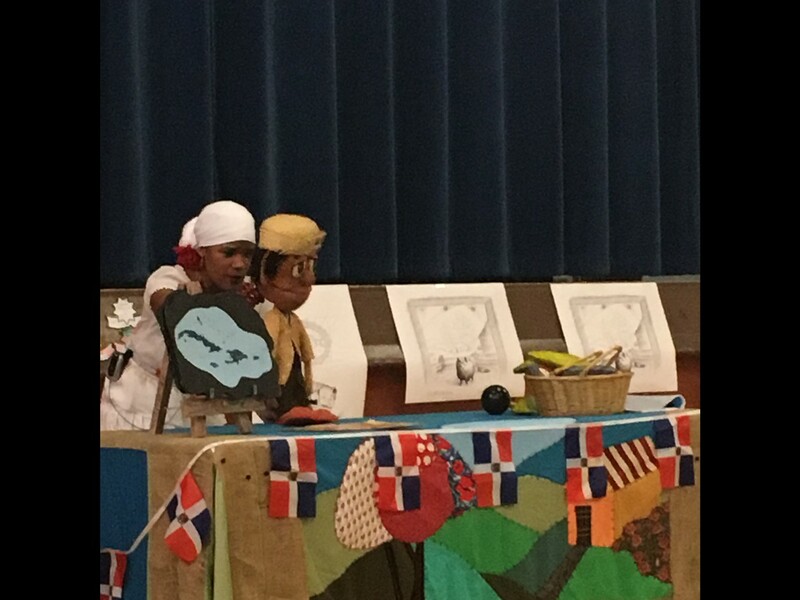 Students learned about the Dominican Republic in a fun puppet show.